Leonardo da Vinci described water as ‘the driving force of all nature’. These days it has become fashionably habit forming. For years the health catch cry has been to consume eight glasses of water a day. We see water on the brain people toting bottles of water everywhere, even slurping it from squeeze bottles in business meetings. BPA (Bisphenol A) ingestion aside, it just looks tacky and reminiscent of bottle feeding. ‘Water is important for health, however, the recommendation of eight glasses of pure water a day appears an overestimation of requirements,’ he says. Lord knows, drinking water can kill you. People have died from hyponatremia. They have literally overdosed on H20. 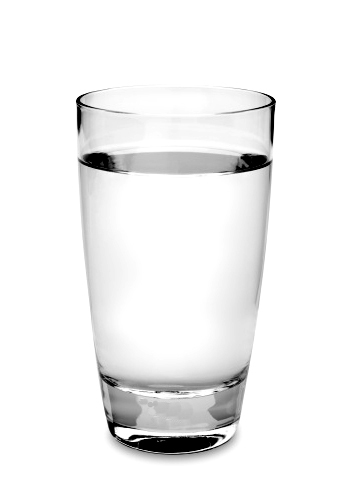 Water makes up 55% – 88% of the human body. It makes up the majority of blood and cells and is lost every minute from perspiration, urination, defecation, tears and exhaled breath. While rehydration is important it can be detrimentally overdone. Around one sixth of marathon runners develop some degree of hyponatremia, or dilution of the blood according to a study in the New England Journal of Medicine. The word hyponatremia is derived from the Latin and Greek meaning “insufficient salt in the blood”. Too much water simply waters down the blood stream blood. It turns full strength into wishy washy low strength. Other than death, severe cases of hyponatremia can show symptoms such as nausea, vomiting, headache, fatigue, mental disorientation and frequent urination. People forget that water is a diuretic. That is never more evident than when the bottle-suckling brigade continually excuse themselves for pit stops during meetings. Eternally optimistic, I’m awaiting the convenience version of H20. Powdered water …just add….